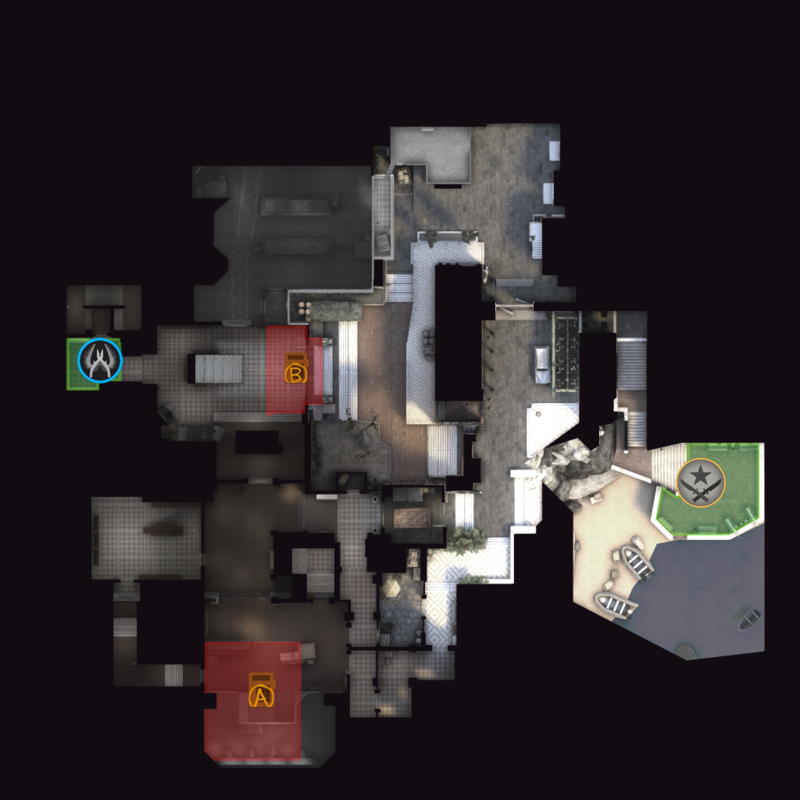 @neptune Looks nice, but how does this map even work in CSGO. Before and after for some stairs leading from T-spawn to a main area of conflict. The idea between the two separate stairs is that the farther side is more advantageous for Ts to peak with, but makes more noise when running, while the concrete side is quieter but gives the cts the advantage when peaking. The right side was originally a bunch of metal grate textures and basic geometry, with a low res brick filling beneath. I managed to find a comprehensive guide on how concrete stairs are actually made and got around to reworking the right side as metal rebar used to reinforce the eventual concrete, with a plywood base. The rebar work was left unfinished as to explain why one side was already pored and set, while the other was still exposed. They appear to generally only do that in public areas where there will be a lot more wear and tear, from what I can tell private and domestic concrete stairs are either made in a mold or with concrete bricks stacked on top of each other, with a mortar finished put on the tops front sides. I think its one of those cases where being too faithful to a reference hurts the final product, it’s waaay off the left field for people not to notice and criticise. It just looks dangerous, as in I can’t see how people wouldn’t get their foot stuck in there, so it’s not inviting to be used. I mean, in real life is not meant to be used, so the natural reaction in game is to stay away as well. I would convert the left side to a concrete ramp (or wooden! if the map represents a site in early development). Or make a fully finished concrete set of stairs, but one side has wooden board on it to make a ramp. A ramp would make a lot of sense for moving heavy building materials up and down the height difference, and would be accessible if the final site is intended for public use (not moving goods). Ultimately I think would look more logic/organic. The noise difference is mainly for two things. 1. The metal_grate landing sound effect is louder then the concrete landing sound, and more distinctive, if the cts can push up, they may be able to hear a lurker or an awper thats trying to speedily get to their best peak spot. Very situational though. 2. In the event that the ts rotate back through the stair well (see picture) a ct in the area of conflict would be able to push up and listen for them. In this scenario, having quieter and louder materials is good for both detecting the amount of enemies and as well as their positions. I do agree that the bottom of the stairs do look fairly unwelcoming, this was the first time I compiled for that area and have since changed some things around and added ply wood boards. Though gameplay is obviously the most important, the unfinished stairs also served to help explain the stair area a little bit better in relation to whats going on in the map. After days of countless threats, a small terrorist group has launched an attack on a small town outside of Grosseto, Italy. The group hopes to hold the archives complex for it's powerful strategic position, and high elevation. Thankfully, a GIS Counter-Terrorist squad has made efforts against the group, leaving only the most powerful members alive, holding a formidable position in the archives complex...A tough scenario lies ahead for both sides of the conflict. Let me know if you have any feedback. Would love to make this better. Thanks! Good luck, have fun! @Levelboi I love the Roman elements like the statues. So far I haven't seen a map that uses them!